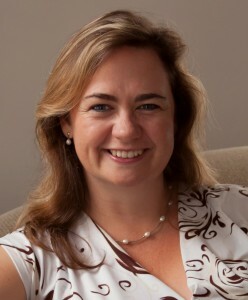 Gill Molteno has a passion for working with children, teenagers and their families. She is an educational psychologist working in private practice in Rondebosch, Cape Town. In addition to her private practice, Gill is the consultant psychologist at Reddam House Atlantic Seaboard for children aged 3-18 years. She is also the Director of Study for Success, a well-established study skills training course for primary and high school students across Cape Town. Gill believes that everyone can achieve their potential. Her positive, encouraging approach has inspired change in many students’ approach to learning. Gill’s journey to becoming an educational psychologist started at the University of Cape Town where she obtained a BA, a BSocSci Hons (Psych) and an HDE. She decided to gain valuable work experience and taught Grade 3 at the International School of Cape Town for two years. It was in 2002 that she committed to full-time study at the University of Stellenbosch to pursue her dream of being an educational psychologist. She achieved a distinction for her Masters in Educational Psychology. Gill completed her qualification through an internship at the United Herzlia Schools which is an internationally acclaimed inclusive school, and at the Vera School for Autistic Learners where she gained invaluable experience in working with children with special educational needs. She was then employed at Herzlia Weizmann Primary School for two and a half years. She decided to go into private practice in 2006. In her spare time, Gill enjoys Nia dancing, salsa, hiking on Table Mountain and travelling locally and abroad. She recently started learning to play the guitar as she enjoys learning new skills.